Metric impact sockets from Apex® Fastener Tools, formally Cooper Tools, have hex tolerances that are on average 48% tighter than DIN and 35% tighter than ANSI requirements. Apex® metric impact sockets provide an exact, sure fit every time. Metric impact sockets from Apex® Fastener Tools provide the tightest tolerances for straightness and concentricity available. Metric impact sockets from Apex® Fastener Tools are designed and manufactured for high impact use. 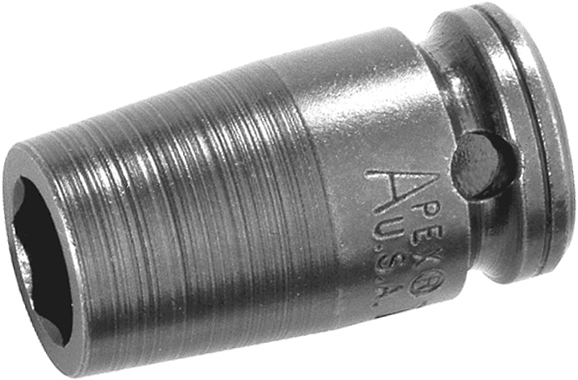 Apex® metric impact sockets are made from stronger alloy steel than the average impact socket.